Mix yoghurt with honey and vanilla extract. Split it into three equal parts. Don’t add anything, make the first layer of your dessert using one part of honey-vanilla yoghurt. 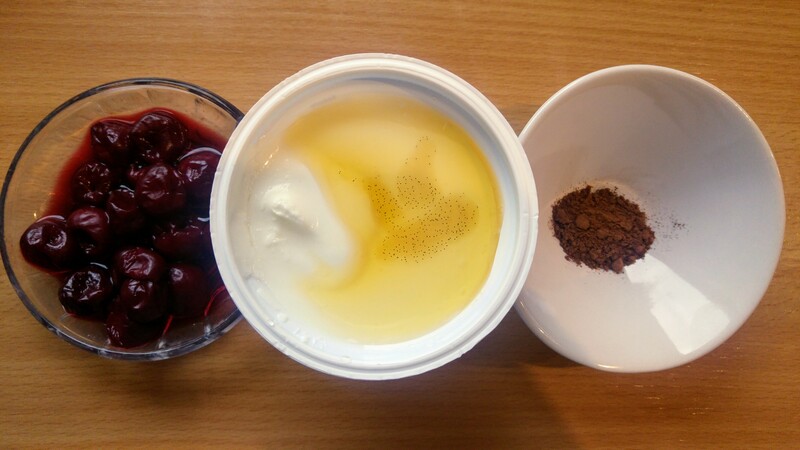 Stir cocoa into one part of yoghurt, mix well. Make the second layer of your dessert. If you’re using frozen-defrosted fruits, stir the juice they released into the last part of yoghurt. If you’re using fresh fruits, pick a few of them and cut them in half so they release some juice. Stir them – along with the juice – into the remaining part of yoghurt. Make the third layer of your dessert. Place the remaining fruits on top. 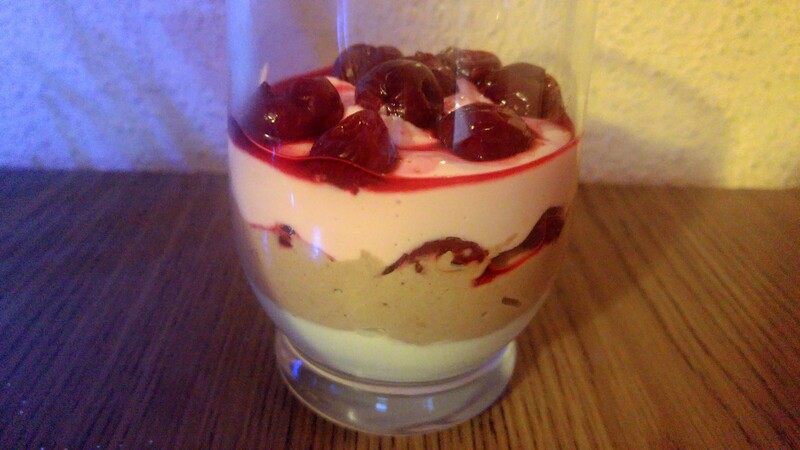 You can add extra cherries in between all layers. Looking for another healthy dessert option? Check out this healthy chocolate mousse! How great is this! Always excited to find something delicious that doesn’t ruin the diet! Have to try with my youngest sometime. She loves parfait!